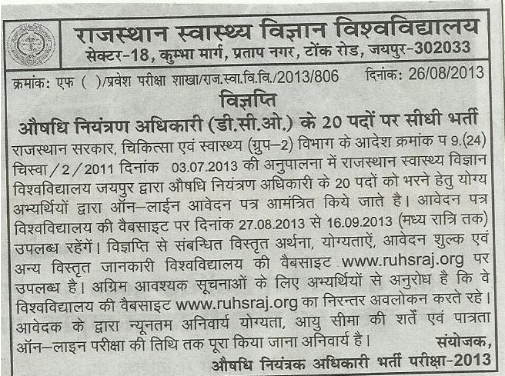 Rajasthan Govt has declared 20 new posts for DCO. Forms will be filled online. through bank challan at any branch of Oriental Bank of Commerce. Date of examination : To be intimated later. Receipt of printout of the on-line application form (along with RUHS copy of bank challan and all relevant documents): To be intimated later.